A recent study funded by the National Science Foundation, found that Black and Asian undergraduate college students are negatively affected by stereotypes and labels within their science, technology, engineering and mathematics (STEM) academic environments. 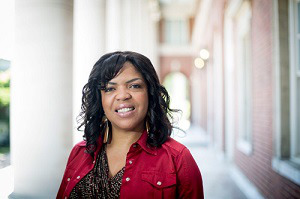 Dr. Ebony O. McGee, author of the report, conducted interviews documenting the academic experiences of 61 Black and Asian STEM students from six universities and colleges across the United States. The report titled “‘Black Genius, Asian Fail:’ The Detriment of Stereotype Lift and Stereotype Threat in High-Achieving Asian and Black STEM Students,” was published in the American Education Research Association (AERA) Open Journal. Originally, McGee planned on focusing solely on Black student’s experience in the STEM collegiate field. However, she found that Black and Asian students both compete with their own set of stereotypes, on opposite ends of the spectrum, to obtain success. McGee found that Black students were stereotyped as being “intellectually inferior” to their peers. In her interviews with Black students, many revealed that they felt as though their classmates expected them to fail. On the other hand, Asian students are facing an increased pressure to sustain the stereotype of being “intellectually superior” and the “model minority.” According to McGee’s interviews, many Asian students felt like failures if they did not uphold their high-achieving stereotype. According to the report, the terms “Black genius” and “Asian fail” are often used in classrooms. The racialized terms cause physical and emotional harm to the two racially-targeted groups of students. McGee believes that universities have to be the ones to make systematic change. In terms of future plans, McGee will expand upon her current research and compare non-STEM and STEM student’s racialized experiences. She predicts that STEM culture will negatively affect students of color more than if they were part of a non-STEM environment. “If I find differences between how STEM students are racialized versus non-STEM, it could signal more of a push to actually change the culture and not either change the students or equip the students to deal with their racism,” said McGee.